While I have my own opinions, both of these sides have valid points. For those against stricter gun laws comes the idea that if we were to just arm more people, there would be fewer shootings. However, looking at past mass shootings, almost none of the shootings were stopped by civilians with guns. They were stopped by former or current military or security officers, not civilians. These people will also cite the Second Amendment as their right to own a gun, but first, that amendment was written when reloading bullets was slow and automatic handguns were not a thing. Second, there’s a process created to change our legislative system created by the same people who wrote the amendment. Now, on the other side of the argument, comes a sensible restriction on gun ownership. Did you know that there’s a loophole where you don’t have to take a background check to own a gun? Crazy, right? More comprehensive and in-depth background checks should be required to own a gun. Also, what’s the deal with military style weapons like the AR-15 that keep being used in mass shootings (Parkland, Orlando nightclub, Texas church, Las Vegas concert?) Full places clearly there’s a pattern of abuse of power with those guns so … maybe we should do something about that. I’m not as passionate about gun control as other areas in politics and I want to keep the conversation open. If you disagree with anything I’ve written, I’d love to talk about it so I can be more informed. The more we talk and are open to the other side of arguments, the more likely change will occur. To be clear, I don’t think we should take guns away from everyone, I understand there are legitimate reasons to own guns. However, due to the amount of violence they cause in our country, (and evidence from other countries that gun control is effective) something needs to change. 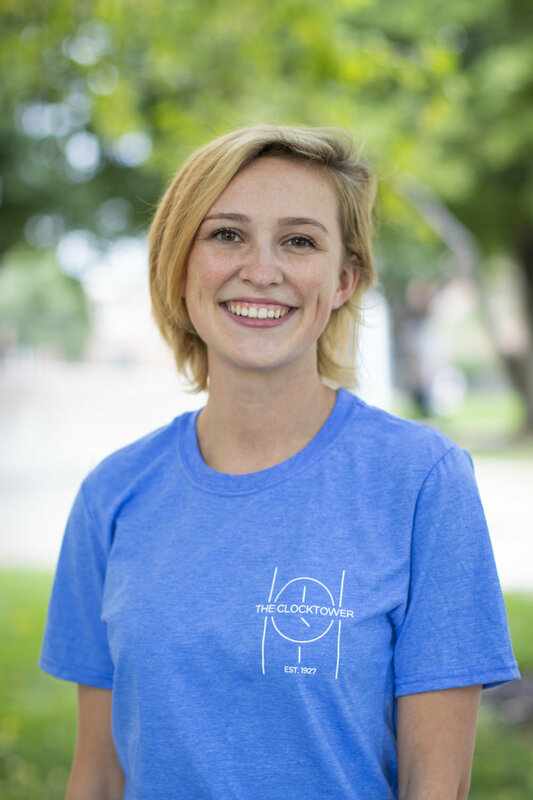 Ashley Bower is a junior studying english language arts education.